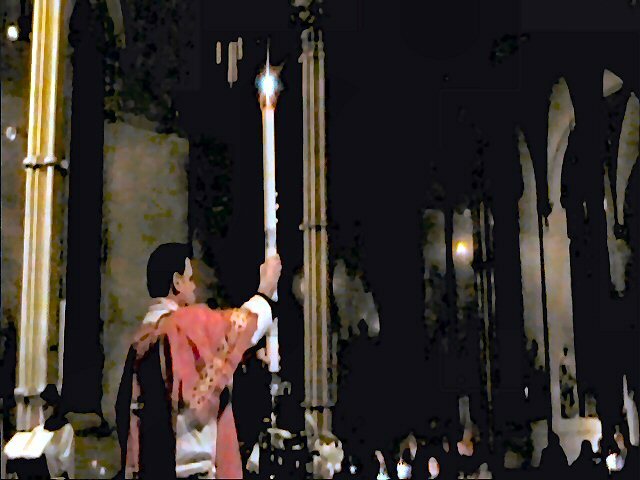 The blessing of the "paschal candle", which is a column of wax of exceptional size, usually fixed in a great candlestick specially destined for that purpose, is a notable feature of the service on Holy Saturday. 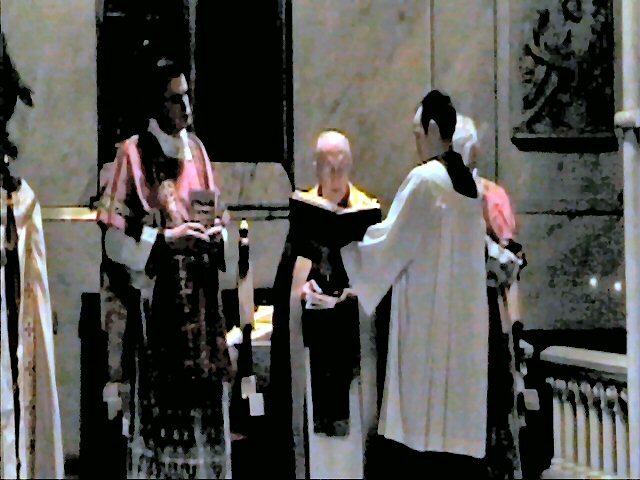 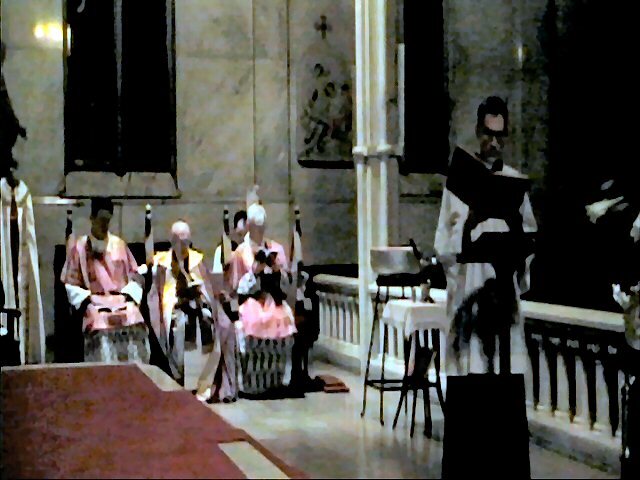 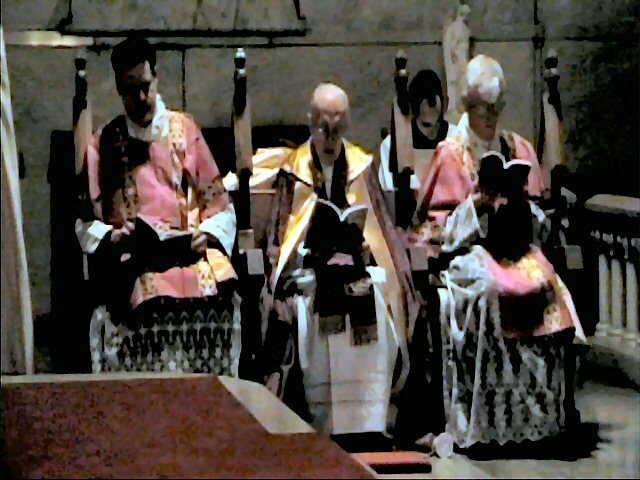 The blessing is performed by the deacon, wearing a white dalmatic. 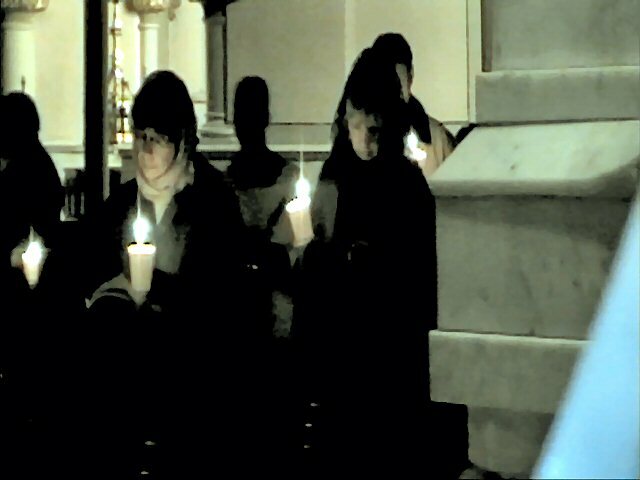 A long Eucharistic prayer, the "Præconium paschali" or "Exultet", is chanted by him, and in the course of this chanting the candle is first ornamented with five grains of incense and then lighted with the newly blessed fire. 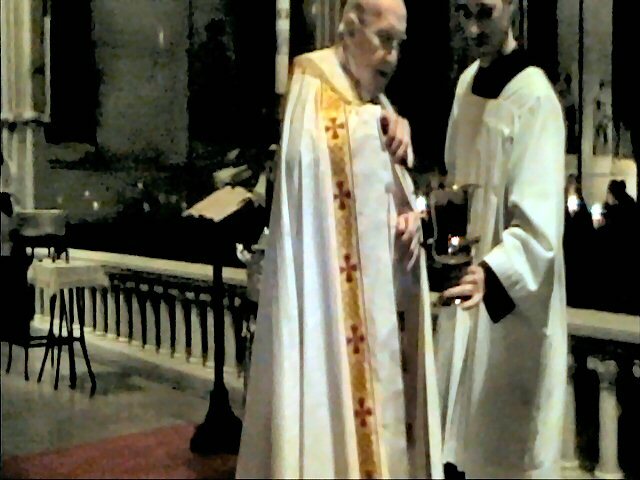 At a later stage in the service, during the blessing of the font, the same candle is plunged three times into the water with the words: Descendat in hanc plenitudinem fontis virtus Spiritus Sancti" (May the power of the Holy Spirit come down into the fulness of this fountain). 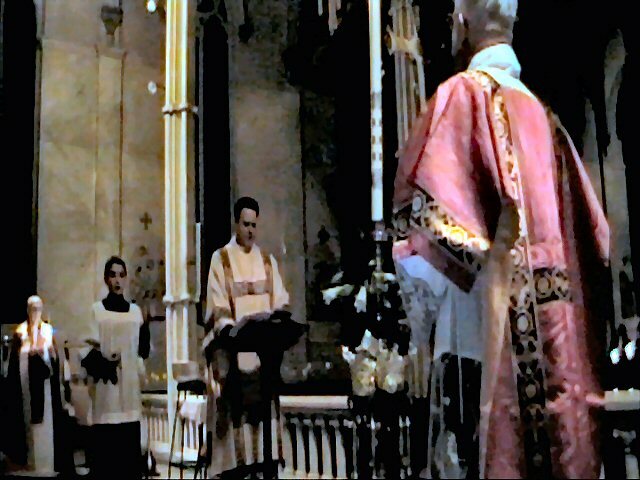 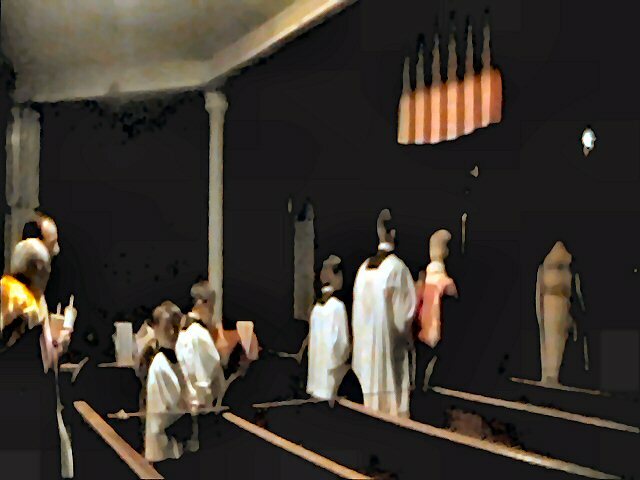 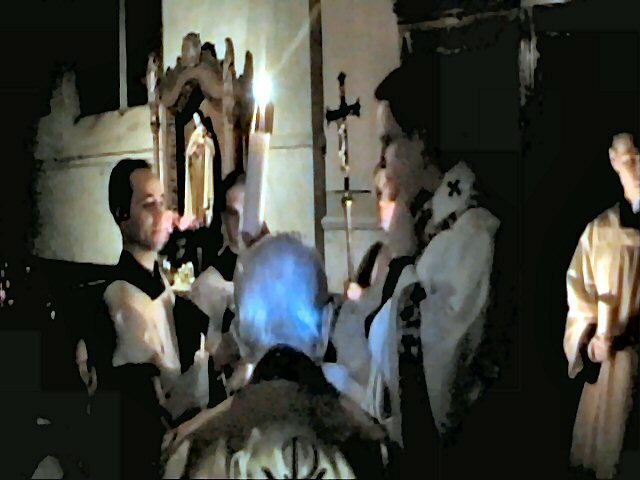 The procession of the Paschal Candle -- "Lumen Christi"